Off-season is upon us (at least here, in the colder parts of Europe). Less coaching = more learning. This means that I’m getting back to my participation coaching quest and will be publishing notes from the journey on a regular basis here. A new, big series of podcasts on junior golf is coming up in the near future, stay tuned! I’ve had a chance to speak to some amazing junior coaches, and will be speaking to many more soon, can’t wait to publish those. A goldmine for junior coaches. Having access to well-fitted equipment is a must if we want to grow the number of juniors playing golf. Bit surprising that golf companies are not more involved in this area, as it’s a big market! Thankfully some new players are entering the space (up until recently basically monopolised by USKG), such as Golphin that make amazing beginner (non-conforming) sets of clubs for kids, similar to USKG’s Yard Club. 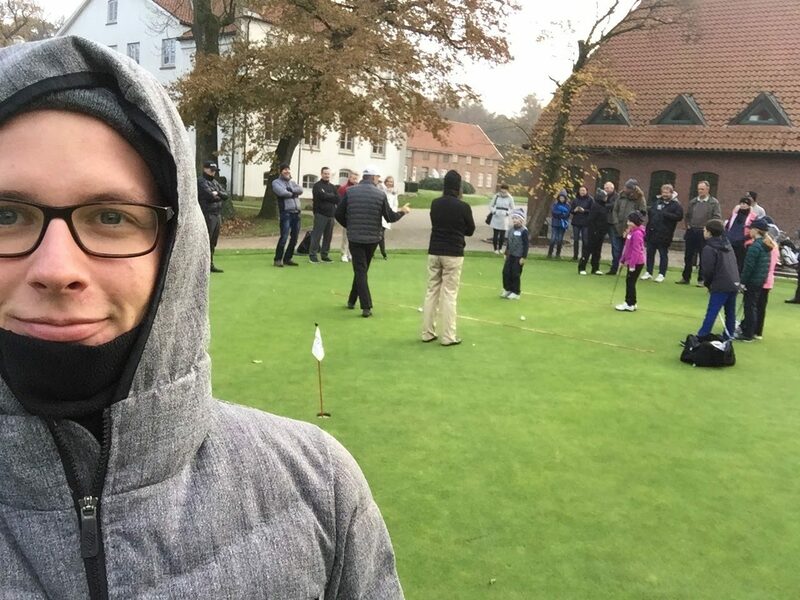 We talked quite a bit about scaling – scaling equipment, scaling golf courses (read more), scaling golf coaching. Children are not mini-adults, and golf in its standard format with standard equipment is incredibly ill-suited for children. I’ll be watching with great interest the development of places like Longleaf Golf Club and their tee system (created by US Kids Golf Foundation and the American Society of Golf Course Architects Foundation) that are trying to find a cost-effective way of introducing and promoting more teeboxes, and hence golf courses that are better-suited for juniors, beginners and families. From what we’ve been told, turns out that it made the course more profitable, too! 3. Why do you play golf? 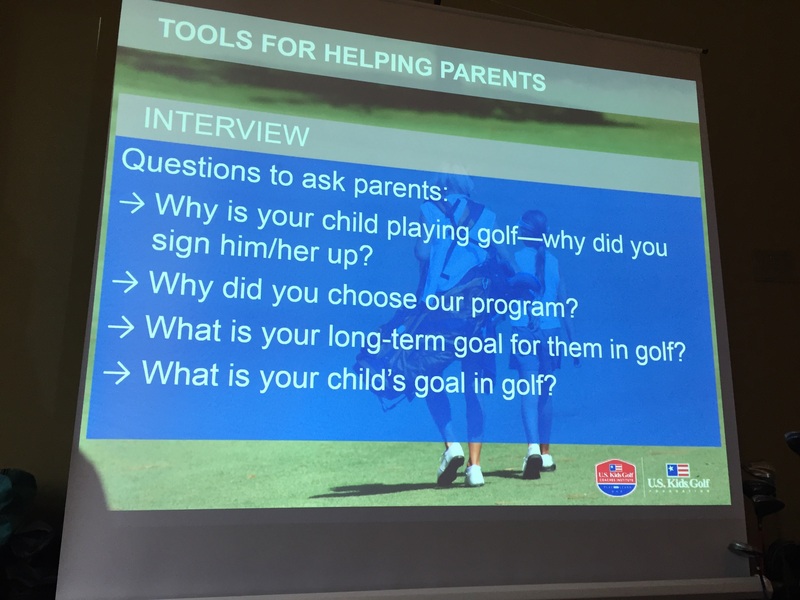 Getting parents involved in their children’s golf is key. USKG have an interesting take on that – they even encourage all parents to caddie for their kids in USKG tournaments. Why is your child playing golf? What is your long-term goal for your child in golf? What is your child’s goal in golf? Can’t wait to ask these questions to parents at our club next season. We have never really done it explicitly, and the answers could be enlightening. To complete the certification, I had to take part in Positive Coaching Alliance e-learning course “Double-Goal Coach: Coaching for Winning and Life Lessons”. The e-learning system itself wasn’t great, but I really enjoyed the content. It involved some nice case studies and heuristics to be used in coaching sessions to teach kids life lessons alongside sport-specific skills. 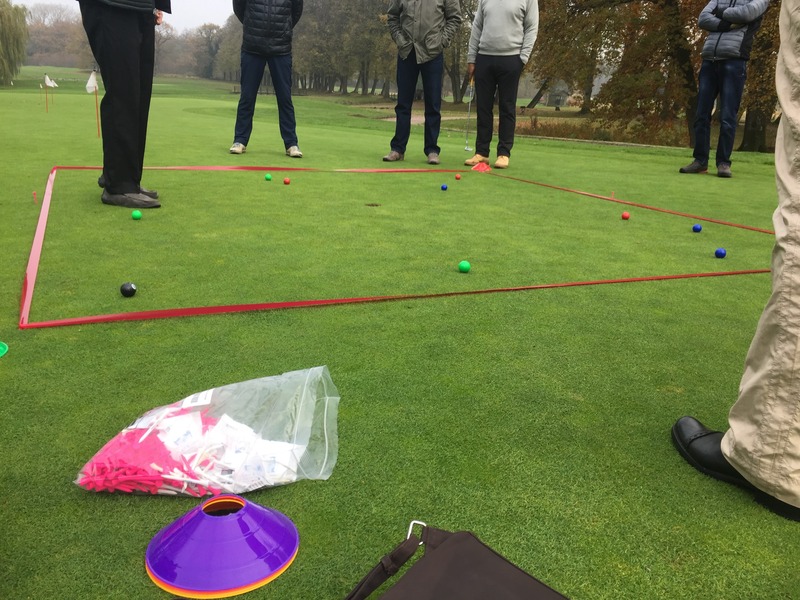 An example of a case discussed during the course would be – what would you do if a parent started arguing with a referee during a golf competition, even if her/his ruling was truly unfair? I just wanted to plug PCA here, as I’m very likely to take part in the rest of their courses at some point. All in all, I enjoyed the seminar. For someone who’s into junior coaching and has either researched the topic or taken part in some other courses maybe there is not much new or revolutionary content, but it’s always good to come back and think about some stuff like the importance of fitted equipment or various ways to involve parents in the coaching process. 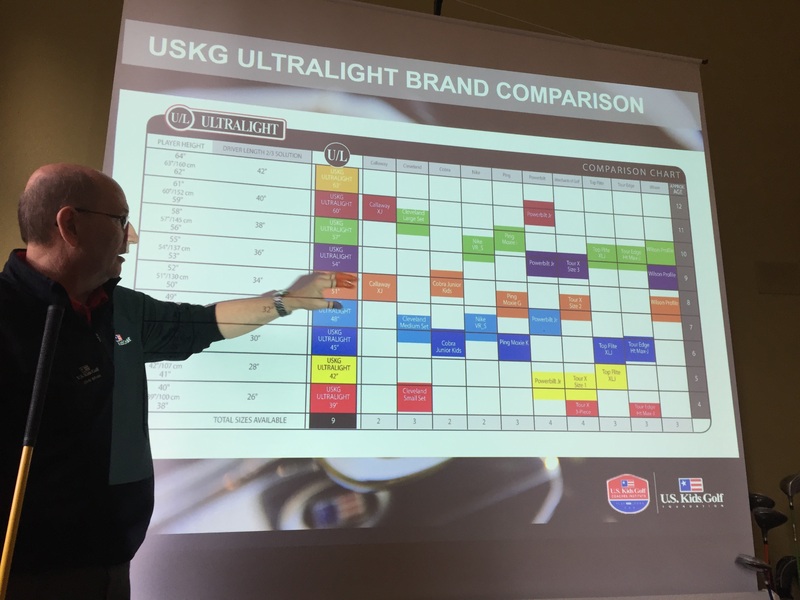 Suprisingly, the biggest perk of the certification for me was getting invited to USKG Certified Coaches facebook group – it’s full of passionate, active junior coaches! I haven’t had a chance to get involved more over there, but there are coaches sharing new games and activities every week.